Being at home or at a gym everyone wants to know how to build bigger chest muscles. Have you ever noticed that Monday is chest day? Then Tuesday is chest day part duex. Some might even call it national chest day 1 and national chest day 2. 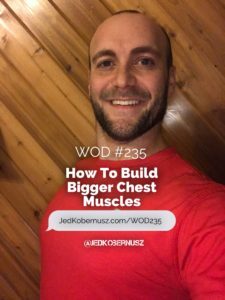 When it comes down to how to build bigger chest muscles you'll learn in this post and WOD how to just that. Also in this post find out what mistakes people make when trying to gain muscle and lose fat. Isolated Exercises – Loading your body with heavy weights like in a chest fly won't stress your muscles the way you need it to. Therefore your body won't release Testosterone and & Growth Hormone the way it will when you compound exercises like Push-Ups and or Planks. Eating Like A Bird – Training your body while only eating 1200 calories, weighing 140 pounds and burning 600 calories a day is a recipe for Atrophy (Muscle Degeneration), not Hypertrophy (Muscle Generation). Simple fix: Eat MORE. Eat More. If you're not eating enough your body cannot create the muscle. Your body needs the proteins to convert into energy. When you don't have enough energy coming in and you don't have excess body fat it takes it from your muscles. Finding out what your minimum weight should be for your height is pretty simple. Complete Compounds. Each WOD created sums this step up. No need to worry about this step, but it's still worth mentioning. The exercises recommended for compounds are squats, deadlifts, push-ups, and squat-press. They are the fastest exercises used to build strength and bulk. Do them often. Train Your Legs (More Often Than Once Or Twice A Week). Doing those squats and deadlifts will increase the release of Testosterone and Growth Hormones, in turn, will help increase the size of your chest by pure saturation of increases. Get them stronger. See all the WODs that have to do with your legs and crank them out. Rest. Did you know your muscles grow while they rest? Aka sleep. Getting the proper amount of sleep AND eating enough calories will help you to understand that how to build bigger chest muscles happens in bed and in the kitchen. Go Fast. Doing your push-ups fast with the full range of motion that's available to you and good form will recruit more muscle fibers, in turn, will help your chest grow. Push as fast as you can on the way up and go down a little slower, but not too slow. Set Realistic Goals For Yourself. Every BODY is different. Remember that until the day you die. Even if you do everything perfect, you still might not have the results as the person that you're trying to be like. Most of what you're trying to change has already been in place since the day you were born: Genetics. Be Patient With Your Progress. Depending on your age your progress will be different. As I write this post (2017) I am 32 years old. My progress will be WAY faster than the 17-year-old me. If I could go back in time and tell the 17-year-old me something I would tell myself this: Be patient with your progress and build a solid foundation first. Top Three Chest Building Exercises– Push-Ups, Dips, And Squat Press. Today's WOD includes a variation of push-ups and you'll love the fact that you'll feel bigger when you're finished. Check out all of the WODs that have Chest as a focus and you'll see how to get bigger chest muscles without weights. PSSS: If you found this WOD about How To Build Bigger Chest Muscles, consider making an in-kind donation. That way I can keep helping you out. Go Here To Donate. Thank you for your time, attention and generosity. If you enjoyed this post about How To Build Bigger Chest Muscles, tweet, share and/or comment below what you liked most. Wouldn't it be AWESOME if we could have upper body muscles forever? Well with WOD #109 you can, at least for today you can because in my head each moment we are breathing is forever. Upper body muscle exercises help with your fat burning. One could even say it helps you burn fat fast. Because the way all my WODs are set up. They only take 15 minutes and you can do them anywhere. Dare I say IF you complete them every day (6 days a week max) they will help you lose weight. Heck, it will even help you lose weight fast if you do all 6 rounds. Fat burning workouts is a specialty of mine. I am a parent and time is of the essence. Ain't nobody got time to sit at a gym and stare into the mirror. From one parent to another, try working out WITH your kids. That's what I do. If you are willing to change from the neck up, then you WILL change from then neck down! 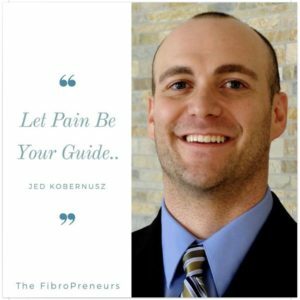 If you enjoyed this post about Upper Body Muscles Forever, retweet and comment below please.